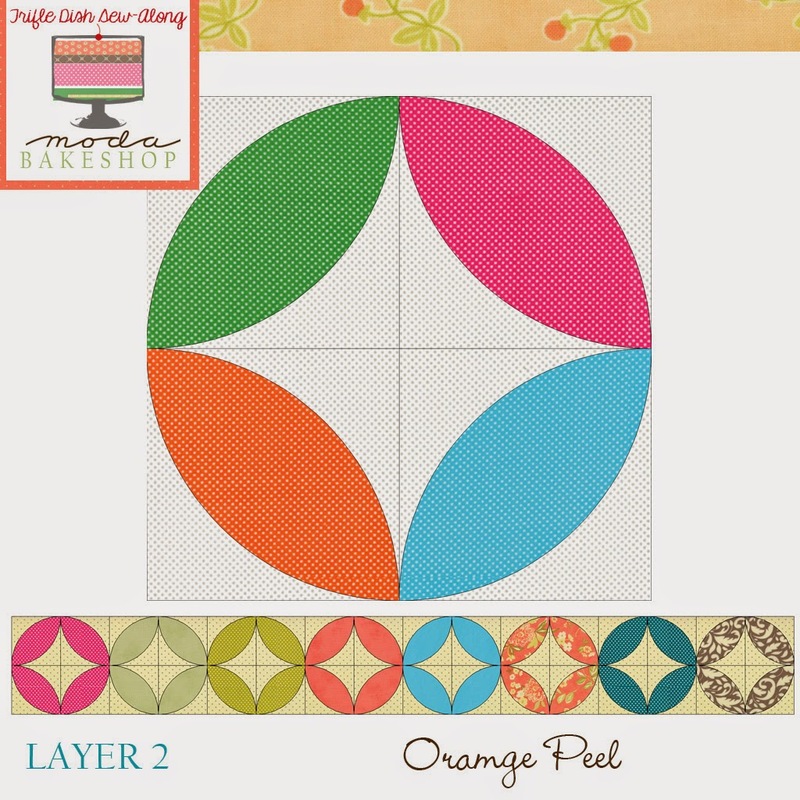 To make LAYER 3, use charm squares to create a scrappy version. One layer cake and a fat quarter will make a non-scrappy version. 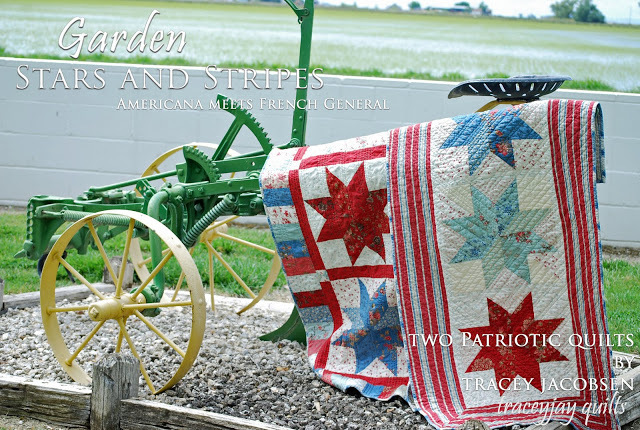 With right sides together, sew a scant ¼” seam on each side of the charm squares. Trim along the diagonal of the HST unit to create 4 half-square triangles. 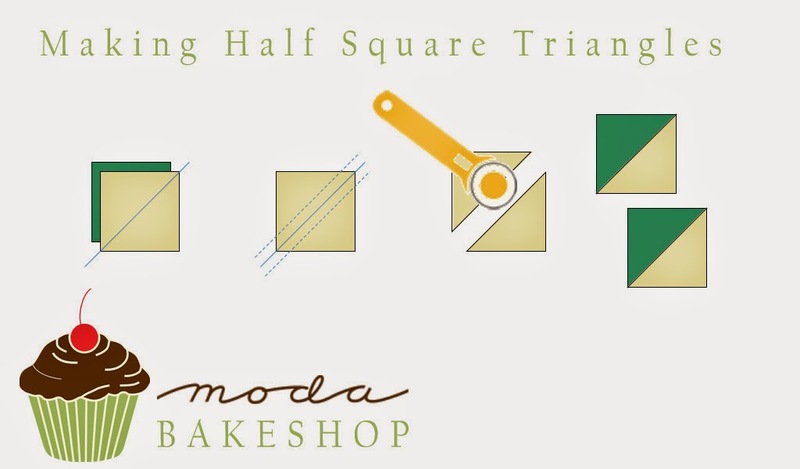 Square up each HST to 2½”. 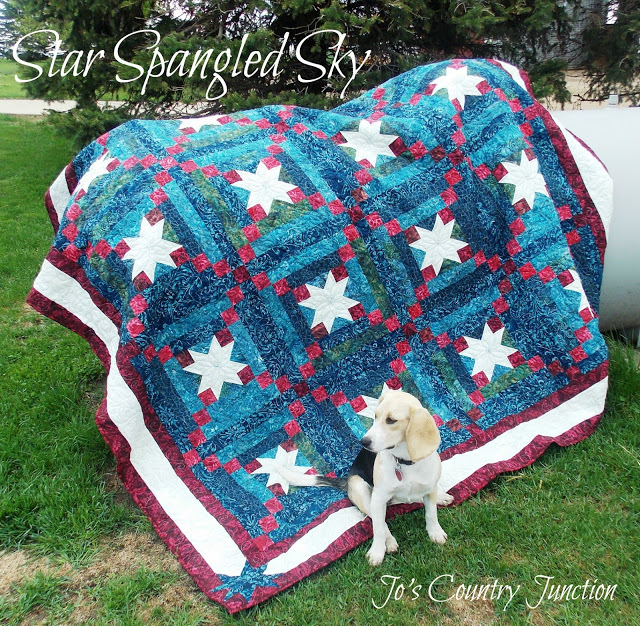 Make 16 sets of HSTs per block. 2. Lay out your block pieces as shown. 3. Repeat steps 1-2 to make 7 more blocks (8 total). 4. Join 8 blocks to form Layer 3. 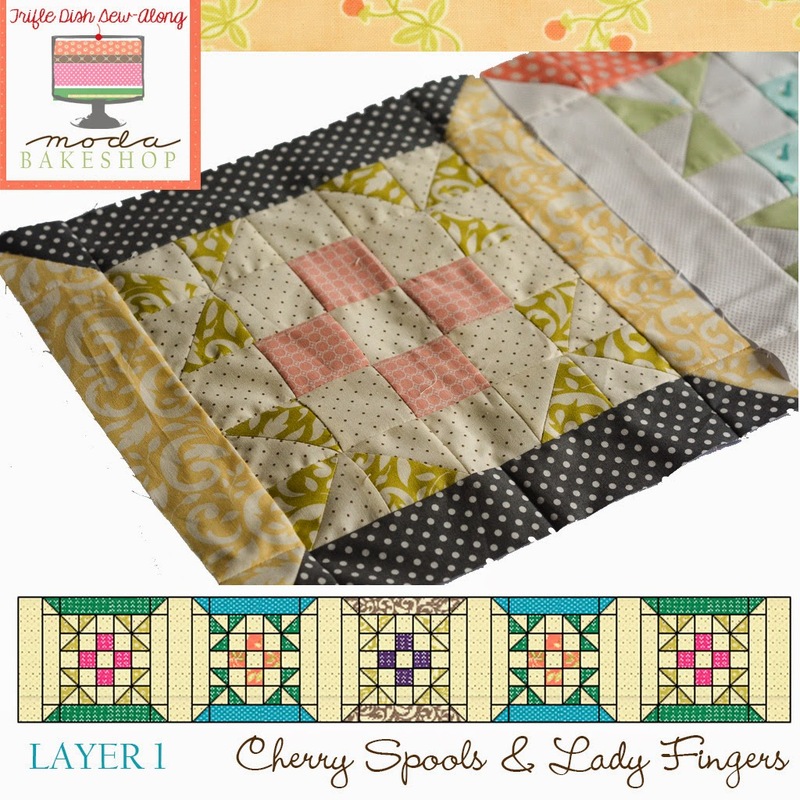 To make LAYER 2, use layer cakes and yardage to create a two-color version. 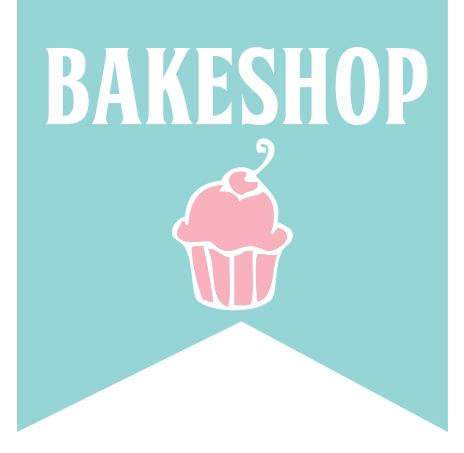 One layer cake will make one block. 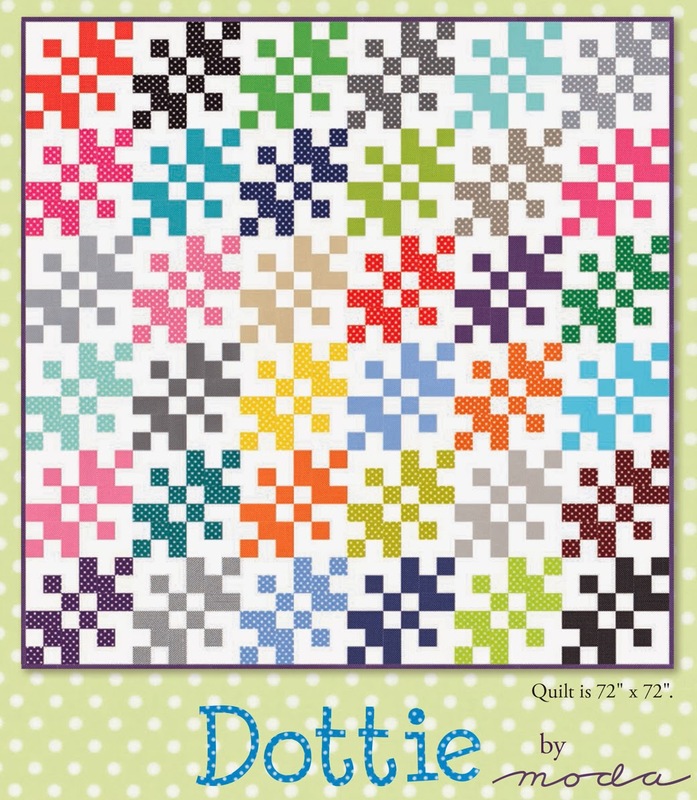 Alternatively, use charm squares to create a scrappy version. 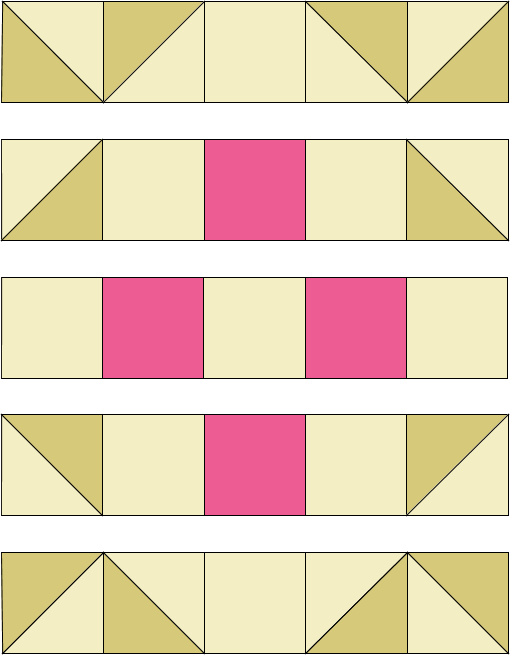 This block can be made using machine or hand applique techniques. 1. Create template pieces for the orange peels. See Printer Friendly Version at the end of this post to download the orange peel template file. Cut out a total of 32 orange peels for the row. Tip: Be sure to label your template with permanent marker so you can use them again in another project. 2. Cut out background fabric. 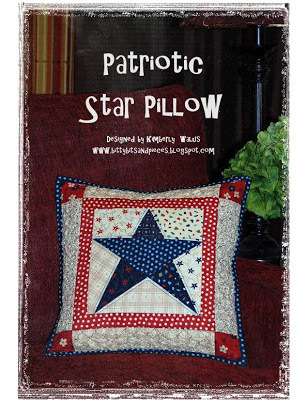 You will need 4 squares for each block, cut them to 5″ to allow yourself some wiggle room for the applique. 3. Applique one orange peel to each 5″ square, using the applique template as a placement guide. Use your preferred method of applique. 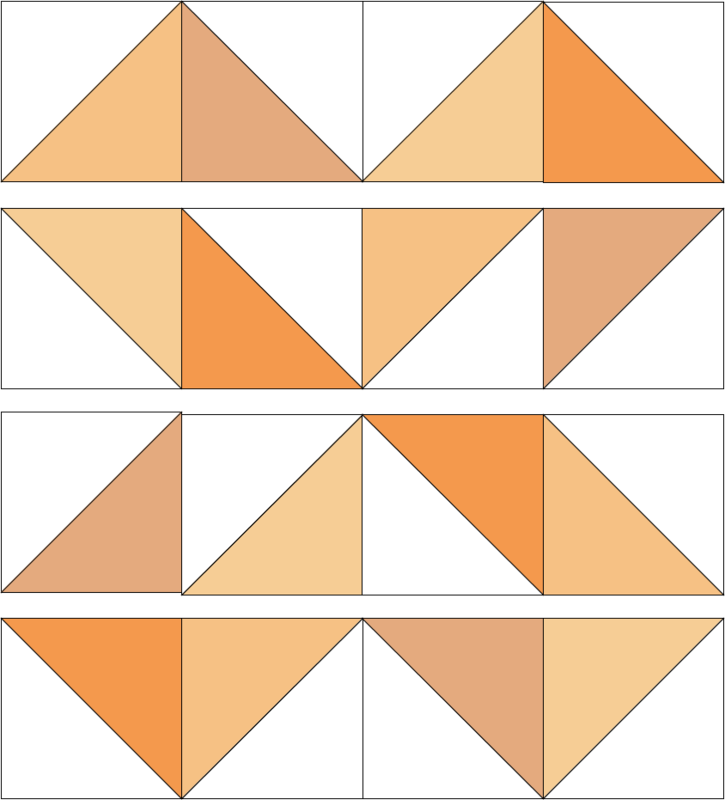 Make a total of 32 orange peel blocks. Trim to 4½” square. 4. 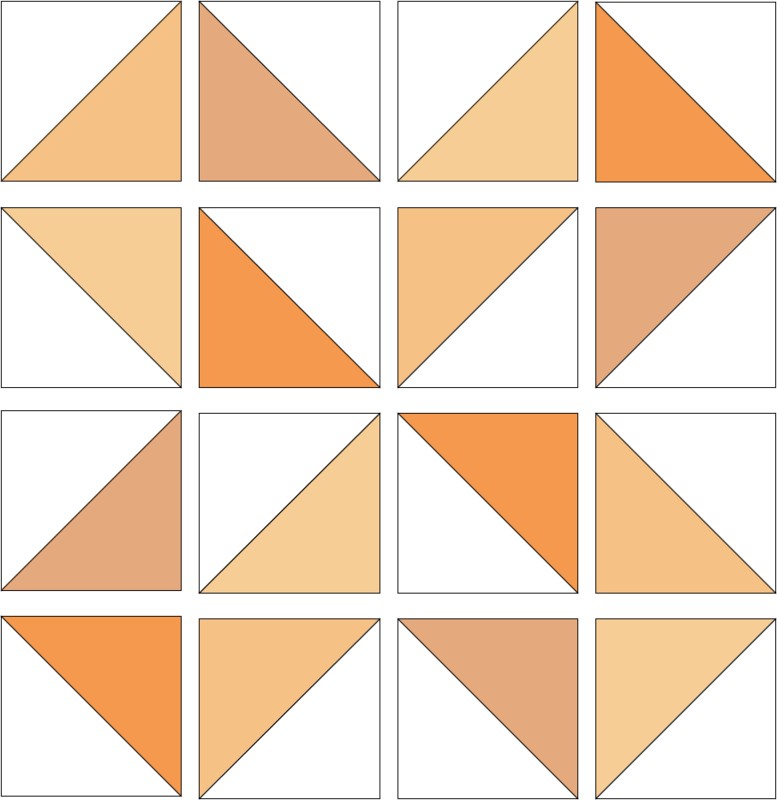 Join 4 orange peel blocks together to make one complete block. 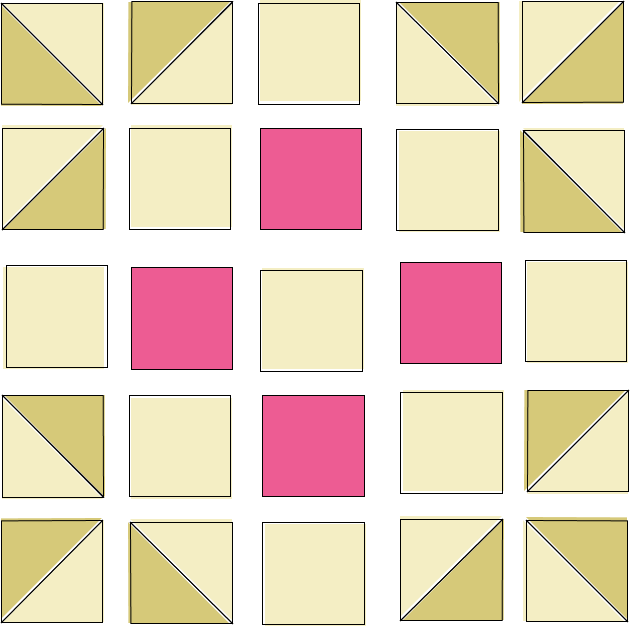 The unfinished block should measure 8½” square. 4. Join 8 blocks to form Layer 2. 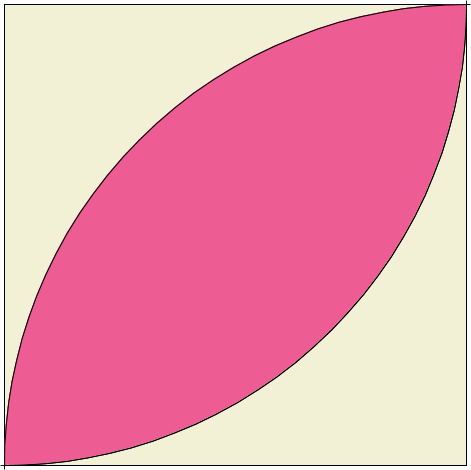 To make LAYER 1, use fat eighths to create a two-color version. Two fat eighths will yield two blocks. 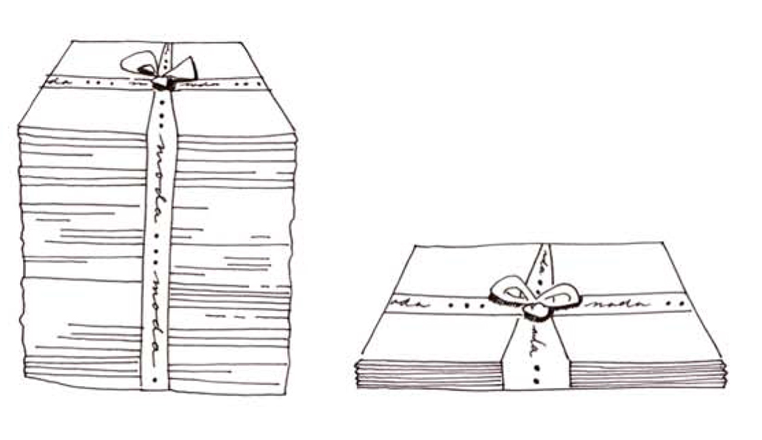 Alternatively, use a variety of precuts to create a scrappy version. 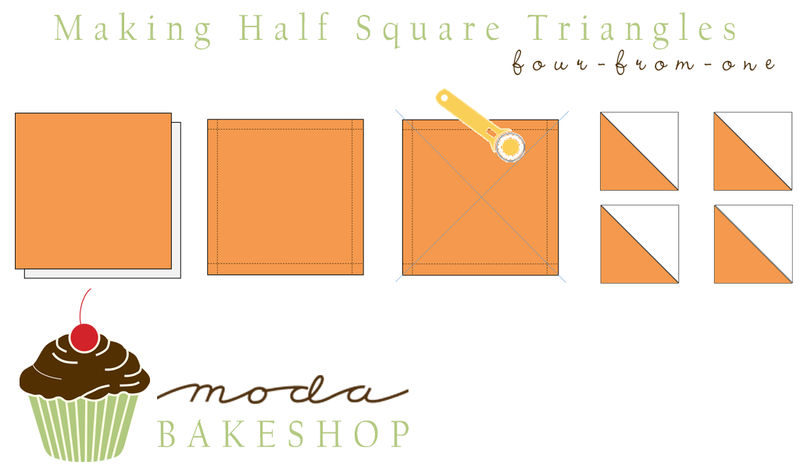 Draw a line on the wrong side of each 2½” background square. Pair each 2½” background square with spool squares and leaf squares (a total of 8 pairs of background fabric + print), right sides together. Lining up the edge of your foot with the pencil line, sew a scant ¼” seam on each side of the line. Cut on the pencil line and press to the darker fabric. 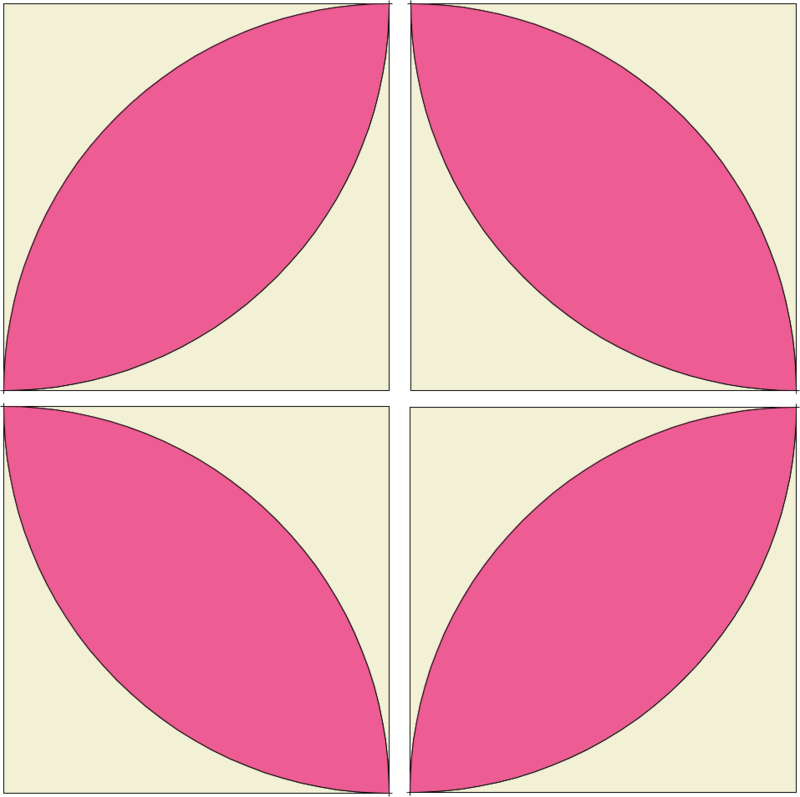 Square up each HST to 2″. 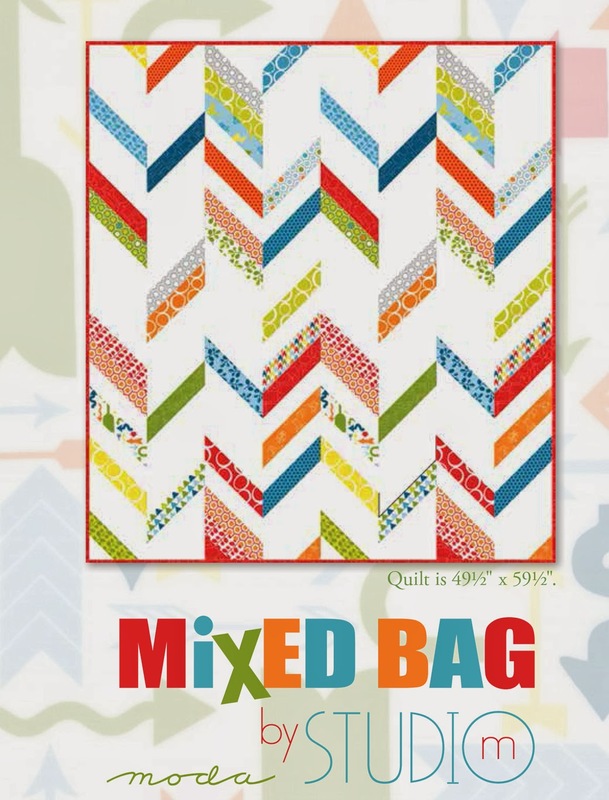 Make 12 sets of background/leaves HSTs and 4 sets of background/spool HSTs per block. 2. 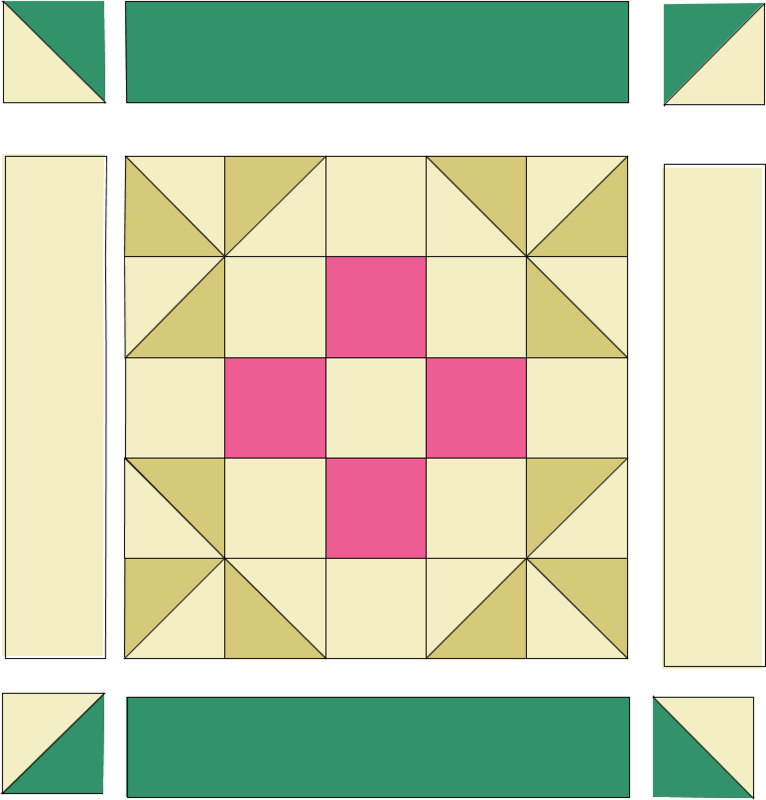 Lay out your block pieces for the center as shown. Add background side strips and spool top and bottom. Press well. 3. Repeat step 2 to make 4 more blocks (5 total). 4. Join 5 blocks and 6 lady fingers together to form Layer 1. Memorial Day is a time to honor the sacrifices of the men and women in our armed forces. Our Chefs have created many beautiful and patriotic projects over the years that are perfect mementoes to mark the occasion. 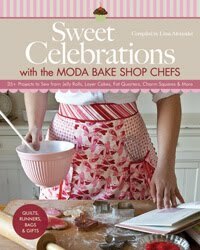 And don’t forget our latest book – Sweet Celebrations with the Moda Bake Shop Chefs – which is filled with holiday inspiration for the whole year. We are having a party and you’re invited! Join us for an virtual party tonight – December 11 – starting at 7 pm CST. Pin your recipes, crafts, quilt patterns, or anything else that is inspiring you this holiday season. 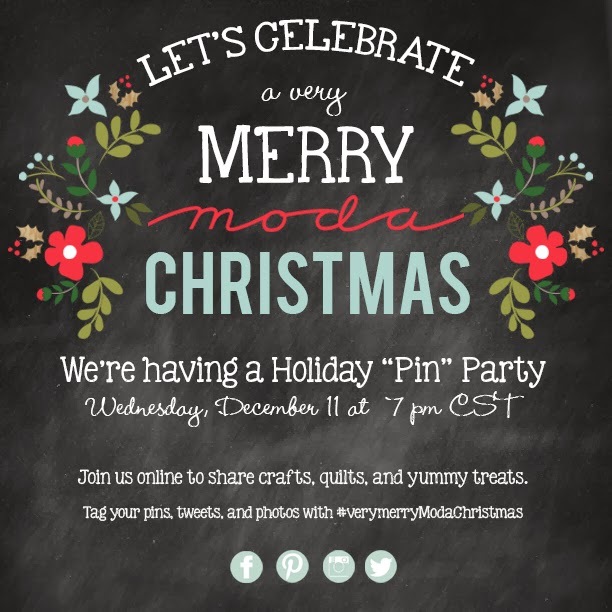 Be sure to tag your pins and social media posts with #verymerrymodachristmas so we can all see them, too! This is an online party so join us in your best holiday gear or your favorite jammies and meet us on the web. 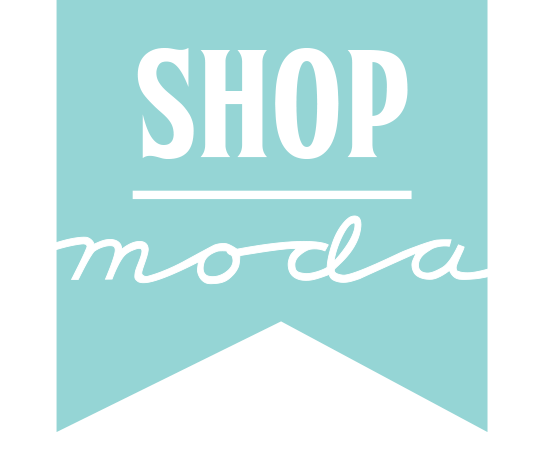 We are going to be giving out prizes every 15 minutes via Pinterest, Twitter, and Instagram so be sure to follow Moda Fabrics and the Moda Bake Shop so we can contact you if you’re a winner. Check out our Very Merry Moda Christmas board to see what we are pinning during the party!